Gorgeous tumbled Ametrine pieces, available in two grades. Lovely little tumbled Ametrine pieces, available in two different grades. These pieces have a decent mix of colour, purple and orange – caused by the fusion of Amethyst and Citrine. Size wise, these pieces are usually between 25-40MM but are a random mix. 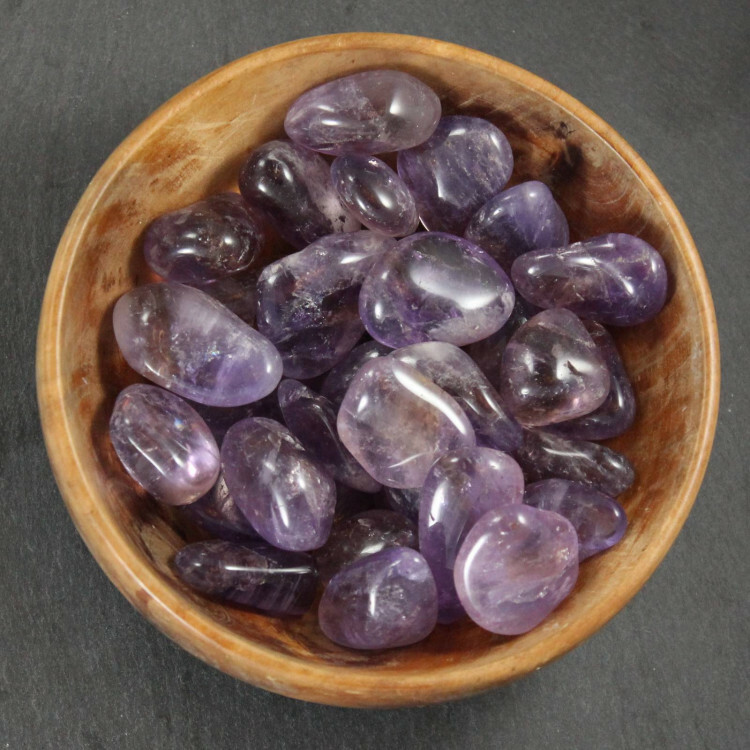 These stones make excellent display pieces, and would suit being displayed in a small vase or a bowl very nicely. They make a decent contrast stone with paler stones, too. Ametrine is a relatively expensive gemstone, due to its rarity. Our Grade B pieces will show oranges and purple colours, but the Grade A pieces are by far the best option, colour wise. For more information about Ametrine, and a full list of all our related products, see our main ‘Ametrine’ category page. 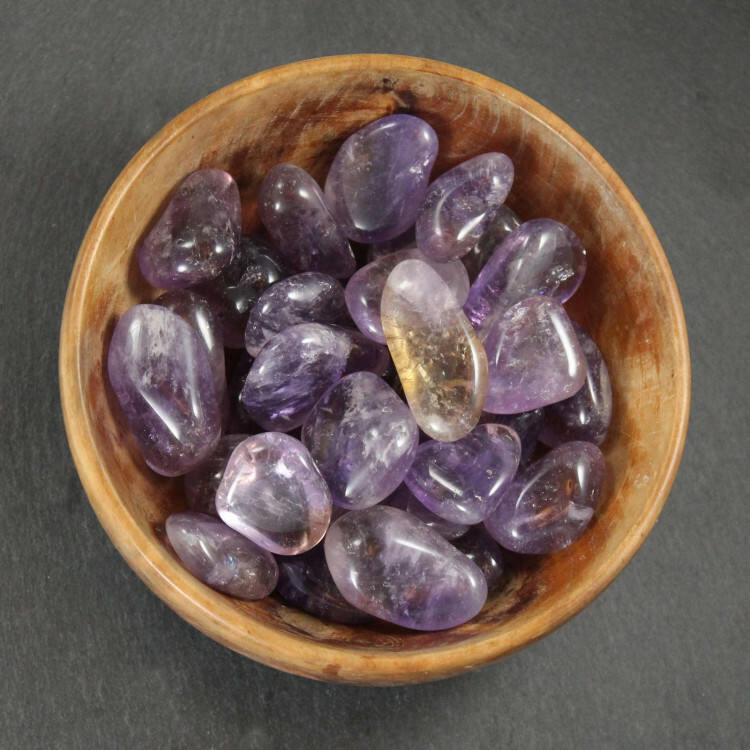 We do also sell a wide range of tumblestones – not just Ametrine.